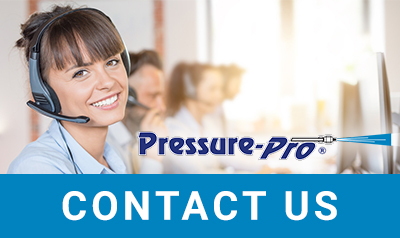 We are proud of the many clients who turn to Pressure-Pro for all their needs related to Cold water pressure washers in Salt Lake City UT. These high-quality machines are ready to take on a huge list of projects including prepping metal concrete for painting, getting rid of moss, algae, and mold, and getting mud off of vehicles – to name a few. Made to be as strong as their hot water pressure counterparts, these units are built with the same chassis design and components. With numerous options available, gas cold water pressure washers in Salt Lake City UT are one of the top choices. There are many reasons for this, including the fact that they are extremely portable. They can be used anywhere there is proper ventilation and do not need to be plugged into an outlet. As a result, they can be transported easily. These machine are heavy-duty and have more power than electric units, with potential power of up to 4,000 PSI, depending on which machine you choose. However, there are two main downsides: They cost more to purchase and they cost more to run.